Hi, I'm Paul the Painter. I have been a house painter for over 20 years. Choose me to paint your home and I promise you’ll be satisfied with the finish. Any sized painting project, anywhere in Sydney. Can’t decide on a painter? Put my 20+ years experience to the test on one room of your quoted house and see that I’m your best choice to trust with painting your entire home. Why Choose Colour Elegance House Painters? 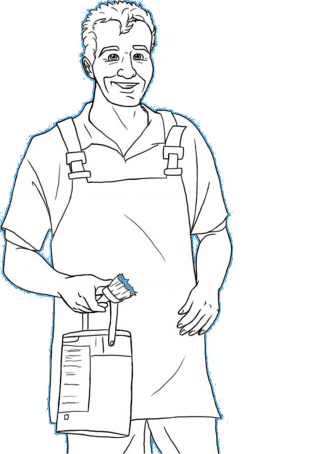 Paul is an experienced house painter based in Sydney. He can provide friendly, no-obligation advice is part of his service. You can trust Paul and his friendly, helpful employees to provide you with high quality customer service and exceptional advice. The Sydney house painting contractors on Paul’s team can tackle any painting and decorating project you have, interior or exterior. But we don’t stop at house painting services. 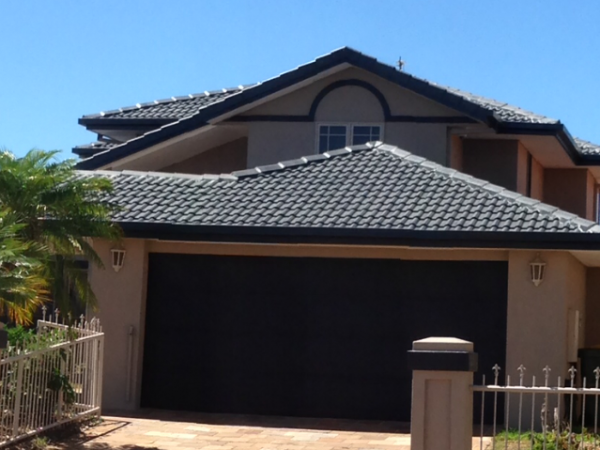 You can also hire us for all pressure cleaning, home and Kitchen renovations, and/or roof restoration in Sydney. Have you considered adding freshness and colour to spruce up your Sydney property, but would like a professional house painting service with some friendly advice from experienced painters? Painting a house, either inside or outside, changes its entire appearance for the better. Feeling shabby? Do you want a roof restoration specialist to add value to your property or clean and re-coat your leaking roof which is causing moisture and mould? Roof restoration restores your roof to watertight and looking like new. Do you have some outdoor spaces that need a detailed clean and spruce up? It’s amazing what beautiful surfaces can lie covered and forgotten. But you could properly enjoy these spaces again after our pressure cleaning service. Colour Elegance is located in Mosman, Sydney. Our painters service the entire Sydney area with commercial building and house painting and decorating, roof restoration and repair, and pressure cleaning. If you’re having trouble choosing painters for your Sydney home, you can put us to the test on one room. That’s how certain we are that you will love our Sydney painting and decorating service and quality work. Simply mention this website offer when you contact us for a house painting quote. We will paint one room of the quote before you decide to choose us to paint the rest of your home. How do you choose from so many painters Sydney? An experienced painter gets the house painted quickly and with minimal problems. We give you fewer interruptions to your life. Get us in for a site inspection, advice, and a free written quote. We paint houses all over Sydney, and we don't charge for travel! Our happy clients precede us. If you still need assurance, mention our website to take advantage of our try before you buy offer. Guaranteed great choice of painters Sydney. The most important was that when you committed to being at our house to do the restoration you were there. The reason why I chose Paul (Colour Elegance) was due to his effort in explaining what was involved in his quote which ended up being more comprehensive than his competitors which in turn gave me the confidence in proceeding with Paul. Colour Elegance Painting & Decorating promises you the best advice, best value and a professional house painting & decorating, roof restoration and pressure cleaning team to do it right for you. At Colour Elegance, we provide professional, high quality, interior and exterior house painting services – refreshing your home without interruption to your daily routine. If you don’t know where to start, we can inspect your property, offer colour and site advice as well as a free written quote. Our friendly team of house painters have over 20 years experience and will confidently answer your questions and address any issues that may arise. We paint all over the greater Sydney region from north to south , east to west and are happy to paint one room of your house as part of our free trial offer. Proudly, we have built up a solid reputation over the years within the home decorating industry for providing some of the most qualified, reliable and prompt team of house painters Sydney has to offer. From Colour Elegance you can expect punctual, trustworthy and friendly tradesmen, whose work ethic will immediately provide you with peace of mind. &nbsp;And, of course all our tradesmen are kept up to date with the latest painting trends and techniques. We are happy to help with smaller jobs too- we promise to provide 100 percent blue ribbon service for one room or a whole house. When making paint colour selections, one major thing to keep in mind is that it’s really important to choose exterior house colours carefully. They help create your home’s first impression to visitors and in if you are selling your home, potential buyers. A starting point is to consider the environment where you live; for example, beachy colours may not sit comfortably on an inner city terrace where heritage architecture is prevalent. Have a look at your neighbour’s homes- will your chosen colour scheme clash with theirs? It’s also a good idea to take a drive around your local neighbourhood- often you will find inspiration for your own home. There are so many different house paint colours on the market to choose from it can be overwhelming. Look at the landscaping surrounding your home- if you have a very leafy yard with large trees, a darker colour may clash- camouflaging your home. For a seamless look it’s also best not to accentuate gutters and downpipes- a mistake that can be seen on numerous homes. Blend these elements into your colour scheme as much as possible. Conversely, if you have any architectural features that would look better highlighted such as iron lacework, then paint it a different colour to accent that feature. Customers are often worried by the potential house painting cost. In actual fact, it is lower than what you would expect. Think about all of the work that goes into painting a home- preparation, priming and several coats of paint – the time alone that you save is well worth the investment. At Colour Elegance we are more than happy to come to your home and provide free written house painting quotes because we understand you don’t want surprises! Know what your home will cost to revamp before work is actually started. And, don’t forget the Colour Elegance offer to paint one room of your home free before you commit to hiring us for the job. We offer a full range of house painting services. In addition to exterior painting services Colour Elegance also provide a comprehensive interior painting service. Our expert team can help you select the right colour for your room and we will also hang wallpaper if you desire. Wallpaper can add a new dimension to a room- break through bland and create interest.&nbsp; Wallpaper offers enormous variety adding to your list of decorating options.&nbsp; There seems to be an endless array of patterns, colours and designs. And, today’s modern wallpapers are very easy to keep clean too, simply wipe dirt and smudges away. House painting can indeed be a hassle for the inexperienced and time poor renovator, but it doesn’t have to be that way. Our aim is to makeover your home as quickly and efficiently as possible with little or no disturbance to your lifestyle. At Colour Elegance we work hard to bring you the best customer service in the industry.&nbsp; We believe we can offer you the most reliable, affordable and stress free house painting Sydney has ever seen. &nbsp;We can help with colours and finishes for all exterior house painting and we can help with ideas for interior spaces too.&nbsp; Renovations are a delight to us- we can help restore old homes to their former glory in line with heritage colour guidelines if need be.&nbsp; Or, we can repaint a modern home so that the colour palette is in line with your taste and style. We recommend the use of Dulux paints in all of our painting services; Sydney weather can be harsh and the high quality Dulux paint withstands the unpredictable elements. We take the time to properly prepare the surface for painting too – we don’t cut corners as correct preparation is essential for the perfect finish. A well executed paint finish can really help lift the value of your home and transform it from boring to beautiful. The right colours alongside your furniture and accessories can make all the difference to the look and feel of your home. With over 20 years experience- we know all the tricks of the trade to help you achieve the look you desire whether that be classic, sophisticated or funky and vibrant. Your home is one of the biggest investments you will ever make- keep it in tip top condition. Painting the exterior and interior will help to maintain the look and condition of your home. We can help with decorating ideas too so if you can’t decide between the endless numbers of different shades of white or you have a very busy family life/career and don’t have the time to prime, contact Colour Elegance today for advice and a free quote. We have the best residential painters Sydney siders so don’t settle for second best. &nbsp;We guarantee to offer affordable prices and professional workmanship.